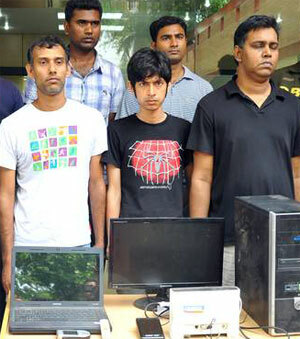 Islamist parties provided a "list" to the authorities detailing "atheist bloggers"
Police in Bangladesh have arrested several "atheist bloggers" and shut down their websites. The International Humanist and Ethical Union (IHEU) has condemned the arrests as "a failure of authorities to focus on the real issues of justice at hand" and "walking into a trap set by fundamentalists". IHEU is concerned about the human rights violations and the possible punishments the bloggers may face, as well as for their safety in public regardless of the outcome of legal proceedings. Members of the Jamaat-e-islami party and other Islamists have called for the death penalty for bloggers who "insult religion". In February this year a blogger known in connection with anti-Islamist protests and for criticising religion, Ahmed Rajib (35), aka Thaba Baba, was murdered in a machete attack on his home. Bloggers confirmed arrested include Subrata Adhikari Shuvo, Mashiur Rahman Biplob, and Rasel Parvez, from Dhaka, and the popular blogger, Asif Mohiuddin, who was viciously attacked in January, was also placed on remand yesterday. They have all been interrogated and remanded in custody. Islamists have provided the government with a list of 84 "atheist bloggers", demanding that they repent or face "blasphemy" charges. 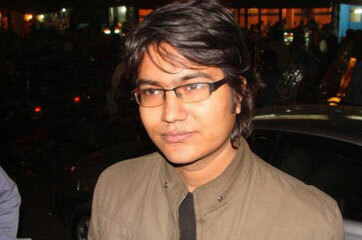 "In February and March this year Bangladesh saw a popular movement known as the Shahbag Movement or Protest. This was organized by bloggers and on social networks, demanding justice over crimes against humanity committed during the 1971 Bangladeesh Liberation War, in which Jamaat-e-Islam and its leaders were strongly implicated. A section of Islamists including Jamaat-e- Islam and Hifazat-e-Islam have since waged a disinformation campaign to brand the bloggers 'atheists' and 'blasphemers' and stir up anger and legal proceedings against them on that basis. With these arrests, the government is now trying to appease these Islamists. "The government has made a list of bloggers and online forum participants who they labeled atheists and defamers of Islam. In an interview given to popular press, a spokesperson for the government has announced that the government will arrest and prosecute these "errant" bloggers. Although there is no law against atheism in Bangladesh, the government is persecuting these bloggers on charges of offending Islam and its Prophet. "Government thinks that if they put several freethinking bloggers in jail, it will keep the fundamentalists happy for time being. The government has taken this easy route to appease a handful of mullahs whose support they need to win the upcoming election." "These are politically motivated arrests, made with the excuse of prosecuting atheists for 'blasphemy'. It once again demonstrates that 'blasphemy' laws are always a bane to freedom of religion and belief, and indeed to expression of political opinion, especially if that opinion goes against those who cloak themselves in the self-righteous anger of fundamentalism. "These arrests represent a failure of authorities to focus on the real issues of justice at hand. The government has fought an uphill battle to bring alleged war criminals to court, then to sentence them, and is now being distracted by malicious accusations against some of the very people who campaigned for justice. While we cannot concur with some of the demands of the wider Shahbag movement, in particular the death penalty for those convicted of war crimes, it remains the case that by receiving and acting on these insidious lists of bloggers and protest organisers the authorities are walking into a trap set by fundamentalists. The fundamentalists are protecting their interests and lashing out by demonising all those who bravely criticise them. "Arrests, harassment and violence against atheists and campaigners must cease." Anticipating his own arrest, which came yesterday, Asif Mohiuddin wrote earlier this week of a "whole new generation who brought in a revolution in [the] Bangla blog community with their advancement in science, philosophy and critical mind, who wrote against the religious fundamentalism and in favor of our great liberation war, freedom of speech, secularism and democracy [that] will be burned alive just like [a medieval witch-hunt…] Religious sentiments are so easy to be offended, that sentiment is always ready to be hurt." Religious fundamentalists haved searched the web, argues Mohiuddin, trawling Facebook and Youtube for the contents that hurt their sentiments, then cry "Blasphemy!" Meanwhile, "The listed bloggers were solely doing the right job to separate religion from politics and the state." Take action: Our member organisation the American Humanist Association has encouraged its supporters to lobby the US Amabassador to Bangladesh to lodge a formal complaint. IHEU Members and individuals elsewhere may want to take similar action in their own countries. For press enquiries please contact IHEU on +44 207 490 8468 or contact online.